Upgrade - Droid. Cost: 2. 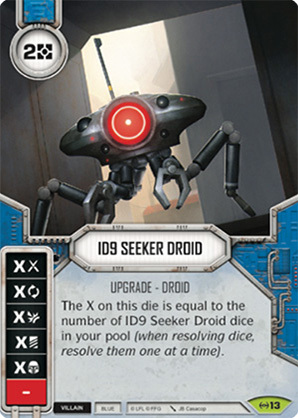 The X on this die is equal to the number of ID9 Seeker Droid dice in your pool (when resolving dice, resolve them one at a time).